If you suspect the health of your family has suffered damage after being exposed to toxic substances in the environment, you may just be right. In particular, Indiana residents who rely on wells for water have reason to be concerned. Major amendments made to the Clean Air Act in 1970 forced power plants to clean their smoke, but as scientist and waterkeeper Rae Snapp explained to the Indianapolis Star, “That just transferred the contaminants from the air into a solid that is now contaminating our waters.” The contaminants coming out of coal pits include arsenic, mercury, boron, chromium, and selenium, and coal ash is at its most dangerous when wet, because, like tea steeped in water, the toxins comingle with the underlying water table. “We need to hold everyone accountable and we need to make sure human and environmental health are uppermost in the decisions being made,” said Tim Maloney of the Hoosier Environmental Council, noting that Indiana has more coal ash pits than any other state. At Ramey & Hailey Law, where we work to protect and defend the health and wellbeing of citizens, we couldn’t agree more. The Hoosier Environment Council, along with several other organizations, including Earthjustice and Kentuckians for the Commonwealth, have sent notices to Duke Energy, and in Raleigh, North Carolina, a class-action lawsuit has been filed against the utility company. Some residents claimed in court they had received offers of “goodwill financial supplements” from Duke that would prevent homeowners from suing in the future. Since, as personal injury attorneys, we are dedicated to protecting citizens – and particularly children – from the invisible menace of environmental poisoning, we are very interested in the recent groundwater investigations in both Colorado and Georgia. Settlements have been reached with companies including Sunoco, Sherwin-Williams, and Northern States Power, the EPA website reports. Current Indiana law does not require universal testing of all Hoosier children for lead poisoning, only those receiving Medicaid benefits. But at Ramey & Hailey, we closely follow all lead poisoning incidents in our state. The dangers of water pollution to residents’ health are enormous. 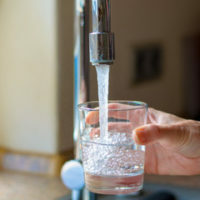 The Centers for Disease Control and Prevention, in “Overview of water-related Diseases and Contaminants in Private Wells”, lists salmonella, E coli, radon, and hepatitis among the long list of dangers.